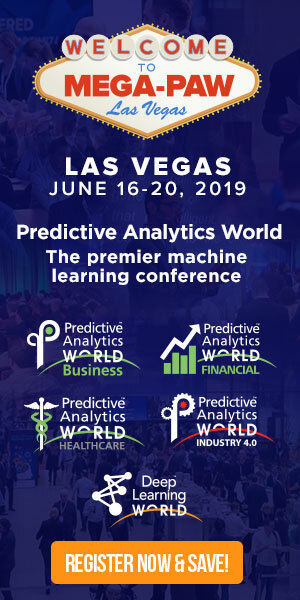 In anticipation of his upcoming conference presentation at Predictive Analytics World for Healthcare Las Vegas, June 16-20, 2019, we asked Ken Yale, JD, DDS, Instructor at University of California – Irvine, a few questions about their deployment of predictive analytics. Catch a glimpse of his presentation, Health Data Science: The Future of Care, and see what’s in store at the PAW Healthcare conference in Las Vegas. A: My areas of expertise include consumer engagement, precision health, risk stratification, and provider quality where we’ve had some incredible breakthroughs in the past five years. When you combine these new developments with behavioral economics, an entirely new digital health ecosystem of consumer retail care emerges. A: Focusing on provider quality, the ability to predict quality of a hospital or physician allows us to identify whether we are getting quality of care for the price paid. And although healthcare has been doing this for decades, the ability to more accurately predict not only quality, but changes in care, allows even greater visibility into the practice of medicine and how to improve care. A: Much of what we’ve done is trade secret. What has been published in journals from one of our pilots shows $166 per member, per month measured savings from predictive analytics and personal health management. While that might not seem much on the surface, when you multiply that by 9,000 eligible persons with the same chronic condition in just one company, that translates to a savings of $17,928,000 from a predicted annual medical spend of almost $50,000,000 – a significant improvement in both cost savings and reduced morbidity. A: Too many to describe. One issue that has received much attention lately is conformational bias. We all know it exists, but sometimes our “hunches” about the data, as early as when we’re in the process of wrangling, sometimes leads us to inadvertently skew towards a particular way of thinking or looking at the data. What we have learned is to approach the problem definition and data wrangling as a team – always being open to voicing our concerns, even if it takes longer to get started. A: From my perspective, health insurance plans and pharmaceutical research and development have seen the greatest advances and benefits from predictive analytics. This is mainly because the data has been in existence for decades, and new tools allow us to go back and find new discoveries that had been buried. Providers are finally starting to see some benefits, but due to the way electronic medical records are closed systems due to government regulations, it is almost impossible to access data required to improve clinical care. It shall take another generation of electronic medical records innovation before we shall see any substantive improvement on the provider side. A: A new science of Human-Computer Interaction is emerging, which combines computational artificial intelligence with human intelligence to reap the benefits of both. As Eric Siegel points out, artificial intelligence is nothing more than an advanced form of supervised machine learning. The real issue is what do you do with the output, and especially in health and care the human-computer interface is key to both understanding the patient, and applying the cure. 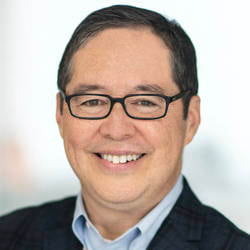 Don’t miss Ken’s presentation, Health Data Science: The Future of Care, at PAW Healthcare on Wednesday, June 19, 2019 from 11:20 to 12:05 PM. Click here to register for attendance.